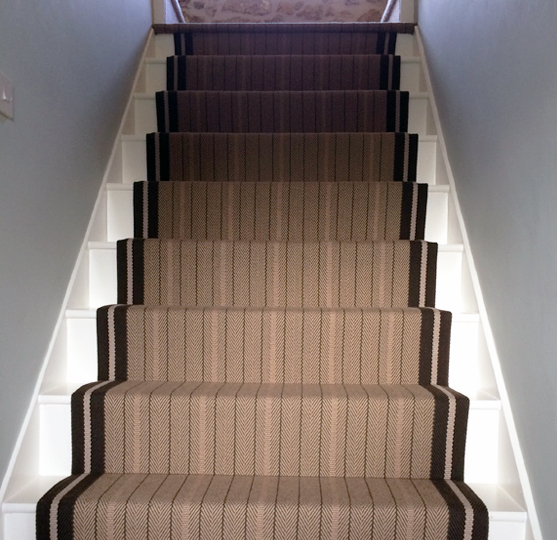 The brief: The Ashby Beaver staircase runner has a classic herringbone design with a pinstripe pattern creating a classy and sophisticated look. Using 100% wool this 'ground' design can collaborate with the 'border' design Trent. This carpet solution can also be used as an area carpet for a landing. "Thank you very much! You have all been amazing"